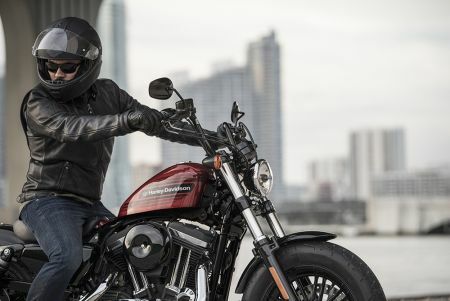 "No cubicle will cage these interns: to celebrate the 115th anniversary of the founding of Harley-Davidson, the Motor Company is turning an often-mundane rite of passage, the summer internship, into the experience of a lifetime. Instead of a key card, eight social media savvy collegians will get the opportunity to learn to ride via Harley-Davidson’s Riding Academy. Upon successful completion, they’ll receive the keys to their very own Harley-Davidson motorcycle with the mission of sharing their experiences, exploring motorcycle culture, and enjoying the freedom of riding all summer long. Reporting to Harley-Davidson’s marketing and social media team, the interns will take to the road and document their journey throughout summer, including: learning to ride at H-D Riding Academy, attending and covering events and of course, experiencing the freedom of motorcycle riding. Some will even take part in the Motor Company’s 115th Anniversary celebrations in Milwaukee and Prague." "For more information on the #FindYourFreedom internship program, visit the hiring page at www.h-d.com, and follow the interns throughout the summer on the brand’s Facebook, Instagram, Twitter and SnapChat channels." Visit https://www.harley-davidson.com/us/en/about-us/hd-news/2018/find-your-freedom-internship.html for complete article.